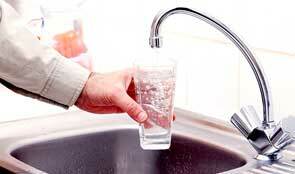 Since privatisation, Ofwat and Defra have overseen major improvements in water quality and service quality. Customers have seen a marked rise in bills but not the benefits of companies’ unexpected financial gains. The regulatory framework for the water industry has contributed to major improvements in water quality, according to the National Audit Office. Customers, however, have not always benefited enough from gains due to factors outside the industry’s control. The NAO estimates that water companies made net windfall gains of at least £800 million between 2010 and 2015; companies gained around £410 million from lower than expected corporation tax rates and £840 million from lower than expected interest rates, but absorbed costs and provided water bill discounts worth up to £435 million over the same period. As a result of taking on the risks of changes in taxation and interest rates, reducing fluctuations in customer bills, companies have benefitted. But they could have made a loss if interest and tax rates were higher than expected. Today’s report also finds that, since privatisation in 1989, most measures of service quality have improved markedly, including the quality of the UK’s drinking and bathing water. The UK has to date not had to pay fines for failing to comply with EU water directives, unlike other member states. Customer bills have increased to pay for these improvements. The average household bill for water and sewerage was £396 in 2014-15 – a 40% increase in real terms since privatisation, with most of the rise happening between 1990 and 1995 under the government’s initial price control. Bills have stabilised since but still represent an important component of household spending. Bills represented around 2.3% of average household spending in 2013, rising to over 5% for the poorest households. Companies now offer support including financial assistance measures for disadvantaged and indebted customers, expected to reach 1.8 million people by 2020. Ofwat expects bills to fall by 5% in real terms between now and 2019-2020 as a result of its 2014 price review; bills are expected to be reduced by £3 billion compared to companies’ original proposals. Increases in bills have been moderated by Ofwat’s challenges on efficiency gains, and by the sharing of those gains with customers. Ofwat’s approach has encouraged greater company efficiency, resulting in lower customer bills, but the rate of saving is now smaller than in earlier years. Ofwat expected £39 of new efficiency savings from the average household’s annual bill between 1995 and 2000, but this fell to £11 annually for the period 2010 to 2015. Ofwat made major changes to its approach in its 2014 price review, setting more demanding efficiency targets and giving companies more responsibility for managing their costs and risks, as well as requiring companies to incorporate customers’ views within their plans. Water companies have raised around £49 billion since privatisation to finance improvements, mostly in the form of debt. The regulatory framework includes protections against risks to customers and taxpayers arising from factors such as high debt levels, through restrictions on some actions of companies and their ultimate controllers. There are arrangements to provide service continuity in the event of company failure, but this would involve uncertain costs. Ofwat has sought to improve company governance since 2013, but it could do more to understand the corporate and financial resilience of the sector to external shocks.